Entrepreneur: Nathan Altman, co-founder and CEO of Indianapolis-based uFlavor, an online soft-drink company that lets customers design their own beverages. Bubbling under: uFlavor, which already sells beverages in previously unheard-of flavor combinations, is perfecting a web platform that will allow users to create and customize drinks, with the option to share them publicly (and try to profit from them). Additionally, Altman and his team are working on a vending machine that will allow users to concoct drinks by mixing from 100 flavors. 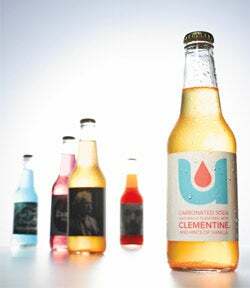 Currently at uFlavor.com, users can choose from drinks created by entrepreneurs like Zappos' Tony Hsieh and Zaarly's Bo Fishback; they can also upload their own images as labels. Drink up: Creations on the site include blueberry-flavored water; clementine-and-vanilla soda; a coffee-flavored energy drink; and grape-and-apple soda. Once the make-your-own platform rolls out, users will be able to craft drinks with specifications such as sweeteners, acids and flavoring agents; caffeine, taurine or vitamins; level of carbonation; and color. Why? To bring personalization and mass customization to the drink industry, "like CafePress does with T-shirts," Altman says. "Flavor creation is where we're heading, taking the technology we've developed and formalizing it." Customers: Altman says uFlavor's demographic is young, ranging from high schoolers to thirtysomethings. Marketing: After launching in early December last year, the uFlavor team took a tour bus to the West Coast to spread the word. In January, they sent a custom drink to businesswoman Ivanka Trump, who tweeted about how much she loved it. The company also recently released a lemon-and-lime energy drink designed by indie hip-hop artist Khleo; going forward, the full-time staff of five hopes to collaborate with other celebrities. The competition: Coke already has mix-and-match Freestyle machines on the market, but they offer only branded beverages and lack the many options of uFlavor's services. In contrast, Altman says, "our approach is, How do we generate new brands, and allow people to take ownership in what they've created?" Cost: uFlavor.com offers a five-pack sampler for $19, a single-flavor five-pack for $19 and a 23-pack for $54. Up next: Altman and company are looking to raise a round of funding. "The big vision is that there's a unique flavor for each person," Altman says. Eventually, the uFlavor team wants to employ a Netflix-like recommendation service for drinks.